Just returned from a lovely visit with Peter Jonasson, the tallest man I love, from Hamilton. Peter is up at Whistler with the Olympic Broadcast Service delivering the wonderful images you are seeing at the winter Olympics. He put me up in his hotel so I could check out the Whistler Polyclinic. Spent time just walking around the village having a fun time soaking in all the fun. 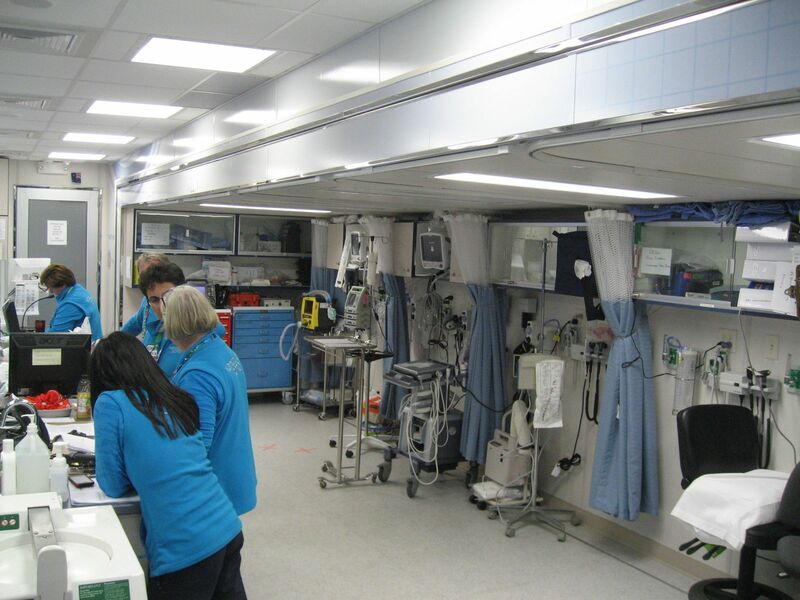 This is a shot inside the Whistler Polyclinic Mobile Medical Unit (MMU). It is essentially a pop out ICU trauma unit that drives around on a transport truck. There is also an operating room. Hi – we’re publishing an interview with 2010 Winter Games CMO, Jack Taunton, for our next issue of “The Bear Bones,” the newsletter of the Research Office of the UBC Dept. of Family Practice. In the article, Jack talks about the Polyclinic and Medical Mobile Unit that was assembled for the Games. Would you permit us to use your photograph above to illustrate the article? If so, please contact me before Feb 22, 2011.